From Flanders Today: Another slaughterhouse has been accused of trying to sell meat that was past the sell-by date. According to spokespeople at the Vanlommel veal production facility in Olen, Antwerp province, it was a mistake that occurred due to human error. The 20 tons of veal meant for the Eastern European market was discovered by Kosovo’s food standards agency, reports Flanders News. About half of it was marked as expired a month earlier. The incident occurred last summer but has only now been made public, following the recent revelations that a meat producer in Wallonia, Veviba, has been wilfully delivering sub-standard and even inedible meat to grocery stores. Veviba is responsible for 30% of the Belgian meat market and delivers to Colruyt and Delhaize. When the news broke earlier this month, both supermarket chains pulled the products from their shelves. 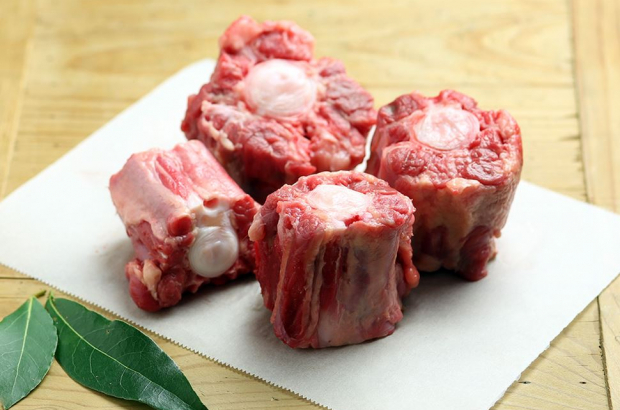 Consumers were told to not eat oxtail bought from either supermarket, including the Colruyt subsidiary Bio-Planet. Other sub-standard meat from Veviba, mostly ground beef, that was delivered to the chains has been tested and is safe for consumption. Veviba’s practices were discovered during an inspection in February that found that 133 of the company’s 200 palettes of meat inspected did not conform to food safety standards. The company has since had its license revoked. If that was impossible, they were told to add more herbs to the top so the meat became difficult to see. They were also prevented from properly cleaning workspaces so that pork or sheep could get mixed in with beef, and vice versa. In addition, the company sold non-organic meat as organic. Veviba is also the company that runs the slaughterhouse in Izegem, West Flanders, that had to close last year because of undercover footage that showed extreme animal abuse. The entire affair has put the spotlight back on Belgium’s Food Safety Agency (Afsca), also questioned in the fipronil egg incident of last year. Apparently the same food agency in Kosovo that discovered the veal last year complained to Afsca in 2016 about frozen meat being delivered from Veviba that was up to 12 years old. Afsca immediately reported the occurrence to the criminal court in Luxembourg province, but neither the court nor the agency followed up. The first inspection of Veviba following the complaint was last month. The complete food chain is still full of 'rotten apples' that are still playing foul games with the food and our lives. Very sad that whistleblowers get fired for reporting these matters. Have all the food inspectors all vanished! For many months I'm still waiting for the food inspectors to come and collect some bad food I was sold. How can the public trust what is on their plates?